The calendar says April but it’s still feeling rather wintery around here. And the selection at the market isn’t helping. I’m chomping at the bit to get my hands on some lovely spring produce, but we’re still stuck – for the most part – with the dregs of winter. Pre-heat your oven to 475. Get out the olive oil, kosher salt, pepper and some fresh herbs (I’m partial to thyme and rosemary). 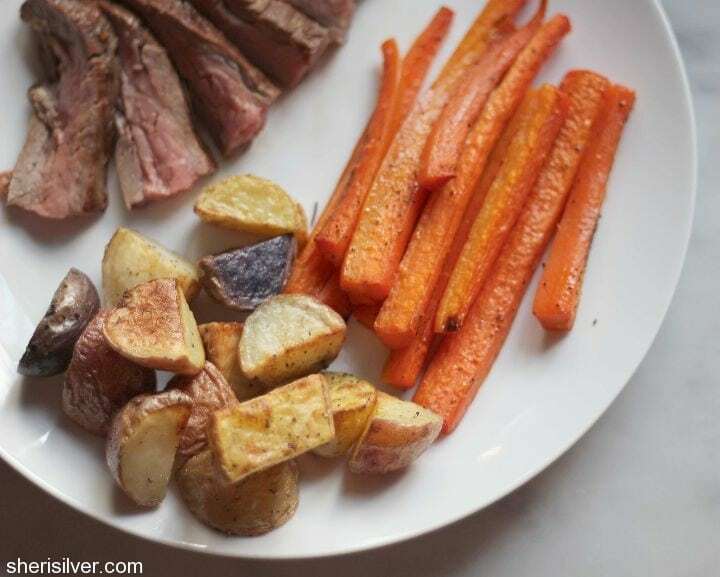 Prepare a baking sheet with parchment paper or aluminum foil (Update: Read this post to find out why I no longer line my baking sheets when roasting!). Trim your vegetables so that they are somewhat similar in thickness – this will ensure that they cook evenly, and are finished at the same time. I sliced the carrots in half crosswise, then in half lengthwise (in quarters for the very thick ones). 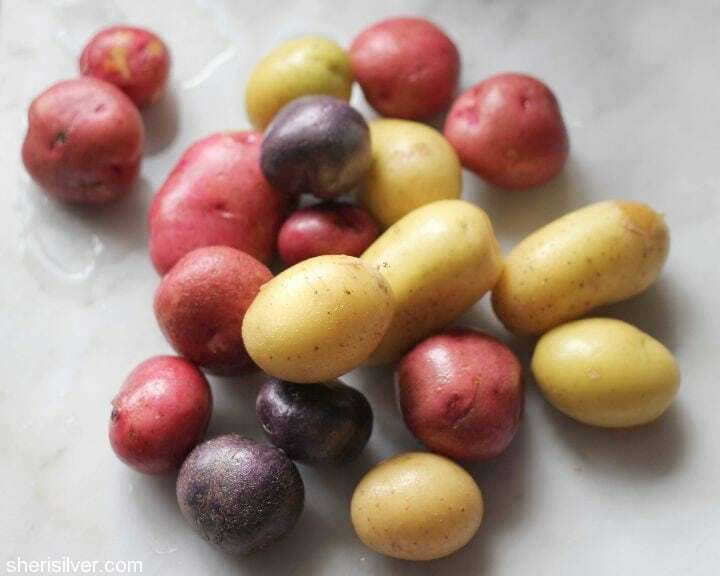 For the potatoes I cut the tiny ones in half, the larger ones in quarters. I LOVE doing this! I discovered the joys of parsnips and rutabagas and turnips this way–vegetables I had passed by my whole life. 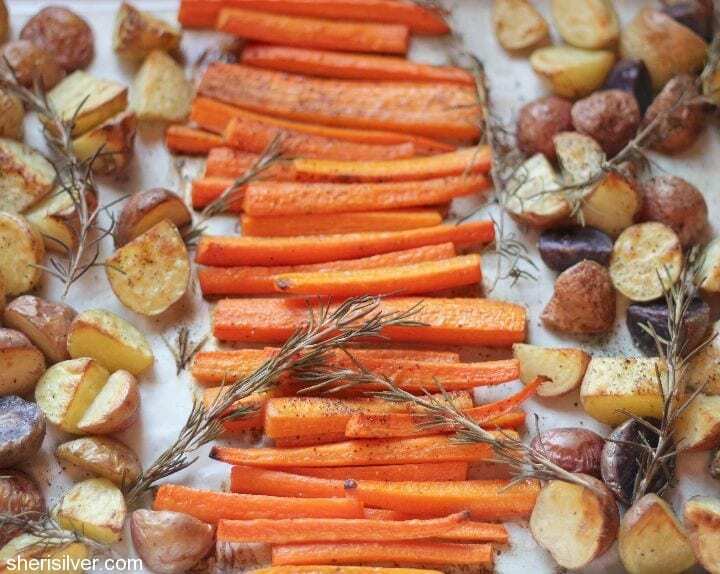 Everyone knows to look forward to summer veggies but now I look forward to roasted root veggies as a wintertime treat! I hope more people are encouraged to try this by your post. 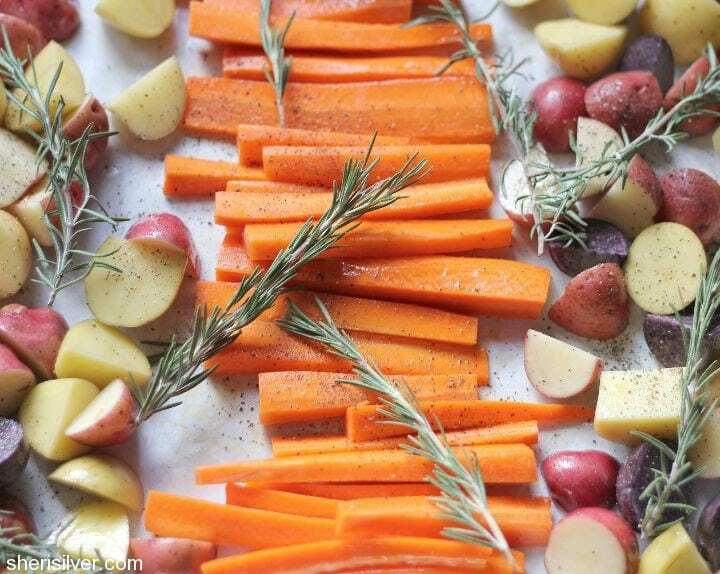 Roasted veggies are my life. I could eat them every single day. Sometimes I add parsnip too. Add lots of freshly pressed olive oil we order from Sicily. So much yumminess. These look so good! 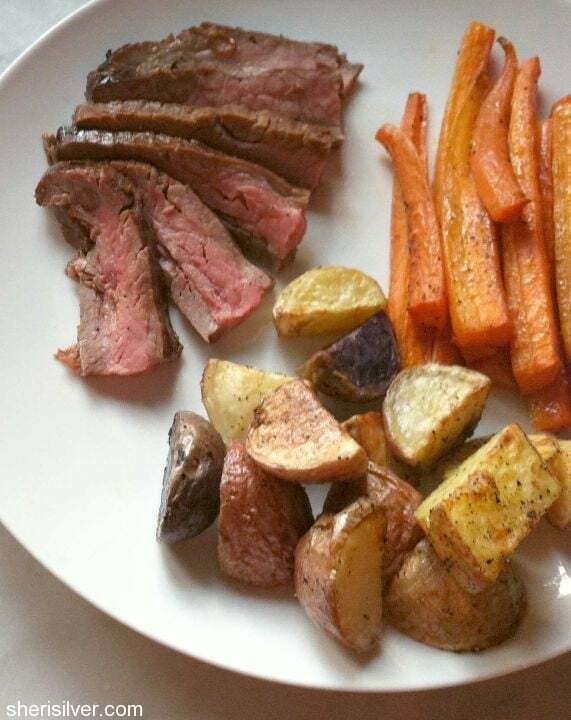 Nothing beats a well-roasted potato, and yours look absolutely perfect!